New government figures have shown the number of older drivers aged 70 or more in the UK is now rising by more than 10,000 per month. 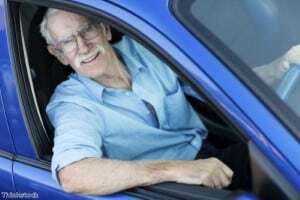 As such, the Institute of Advanced Motorists (IAM) is calling for greater support for these older drivers. At present, there are 4.34 million road users in the UK aged 70 or over and this figure is forecast to continue to increase in the years ahead. Sarah Sillars, IAM chief executive officer, said: "People are living longer and therefore there are many more drivers on the roads that are past retirement age. We want these drivers to enjoy their motoring for as long as possible, so we want some thought and resources to go into how we can allow this to happen." With this in mind, the IAM has put forward a number of new proposals to help older motorists to stay active for longer, with calls for a new government action plan on the matter top of the organisation's wishlist. Meanwhile, manufacturers are urged by the body to more closely consider the needs of older drivers when designing their vehicles. New online self-assessment tools to help individuals understand the importance of regularly assessing their ability to drive safely are also being proposed, as well as the delivery of more widely available voluntary on-road driving assessments. Overall, the IAM believes increased partnership is needed in all areas of the motoring sector, from government to manufacturers, supporting bodies and drivers themselves. Britain's oldest licence holder in 2015 is the ripe old age of 107 and, while this may not be the norm for now or the foreseeable future, action is needed to give more support to individuals who continue to stay safe on the roads well into their autumn years.